Laine, a young woman on the run from the law, turns up at The Frontier, an isolated desert motel. She is offered a job by Luanne, the owner, and, hoping to lose herself in the obscurity of the place, accepts it. But soon Laine realizes she has stumbled into an even bigger and more dangerous situation. The Frontier is Oren Shai's first feature film. His short film, Heavy Soul, screened at SXSW '06. His next short, Condemned, has been praised by IndieWire, USA Today, and more. 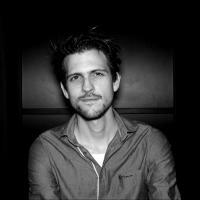 Oren received a BFA in Film from SVA in NY, and an MA in Individualized Studies from NYU. His writing appeared in film publications in the US, Israel, Italy, and Spain.